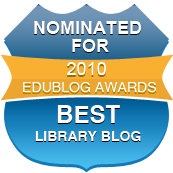 Toddling about the internet, collecting resources and ideas for the senior study skills program, I came across this article: "I shipped in 2010 - you can too" by Doug Johnson on his Blue Skunk blog. While his main focus is on the extras he did related to his work, such as conference presentations, papers and articles, one sentence jumped out at me for its use with students. I personally measure my days not whether they were happy or unhappy, but whether they were productive or unproductive. One aspect of my work as a teacher is talking with students about their work. They sit in my office and tell me their successes, failures, concerns. Sometimes, tissues are involved. It's always been part of my work, not only through mentoring programs etc but also just because I'm findable, there, a listening ear. Thinking over what they say, often enough it is about happiness - "I feel terrible" "Nothing is working" etc - stuff related to feelings/emotions. Did I have a fruitful conversation or meeting? Did I get something finished? Did I write something worth sharing? Did I read something challenging? Did I do an hour's worth of physical activity? Did I clean up a mess, revise an article, or organize something for the future? Did I do something that made my own life or someone else's just a tad better? Looking at this idea, it's one I plan to try with students, and see how it can be worked into the study skills program, too. Refocusing from emotions (so much trickier to wrangle) to more measurable activities/achievements that can be done/replicated and from which positive feelings can flow seems like a useful idea to play with. I'm not saying that feelings aren't important, but rather that this is a way to get from the tissues/tears/frustrations/sense of impotence/being stuck that some of those students have when they plonk themselves in a chair in my office, and help them onwards. From a study skills program perspective, it also points a way from the emotional to the measurable, helping students to progress.